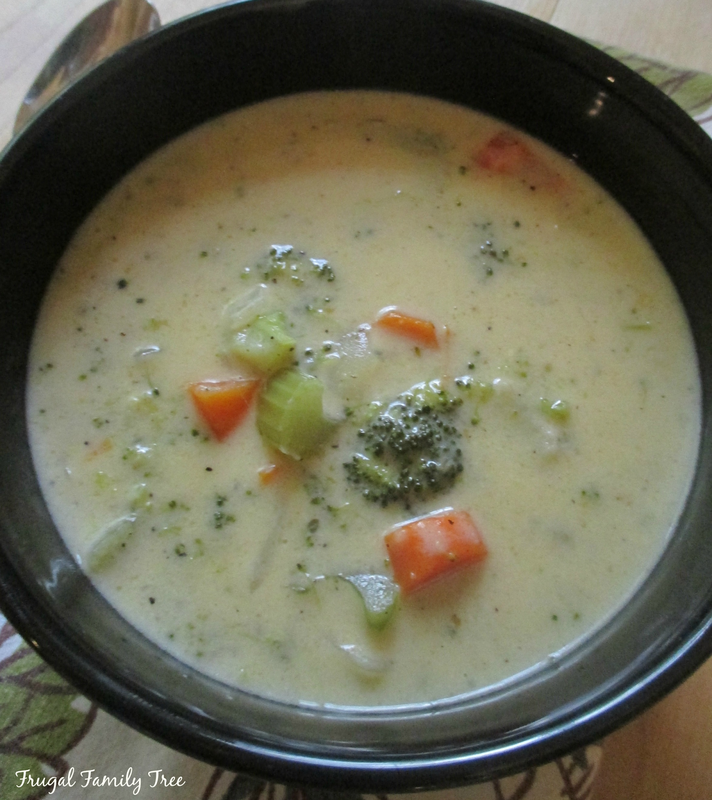 I enjoy eating vegetable soup, and it's great for using up the veggies that you have on hand. It's also less expensive to make soup without meat in it, and with today's meat prices, sometimes it's nice to save a few dollars. 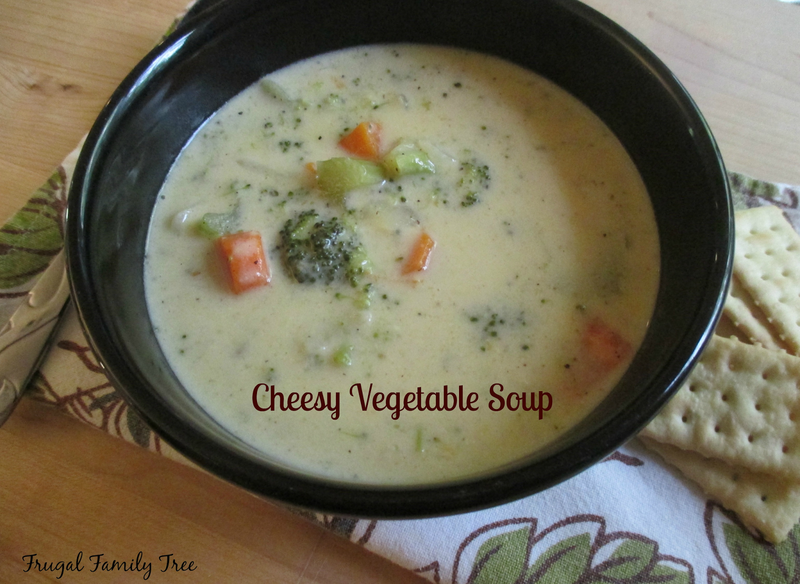 This recipe for Cheesy Vegetable Soup has a rich creamy base, made with heavy cream and two cups of cheddar cheese. It's definitely hearty and filling, and paired with a salad and crackers, makes a delicious meal. Making soup is such a nice thing to do for yourself, or your family, and a pot simmering on the stove is one of my very favorites things about fall. In a heavy 4-quart soup pot over medium heat, melt butter. Add flour. Cook and stir until thick and bubbly, remove from heat. Gradually blend in broth. Add broccoli, carrots, celery, onion and seasonings. Return to heat and bring to a boil. Reduce heat, cover, and simmer 20 minutes, or until vegetables are tender. In a small bowl, blend egg yolk and cream. Gradually stir in several tablespoonsful hot soup. Then return the egg-cream mixture to the pot, stirring until slightly thickened. Simmer 15-20 minutes. Stir in cheese and cook over medium heat until melted.